Our manual assembly cardboard charity boxes can be a very cost effective way of promoting your charity or charitable organisation and raising funds. We understand you may well need to keep initial outlay for charity marketing campaigns to an absolute minimum so this is where the cardboard money boxes are a bonus. They are easy to assemble in seconds, and when printed with your logos you will soon have donations pouring in. We can also produce these collection boxes unprinted making them even lower in cost. 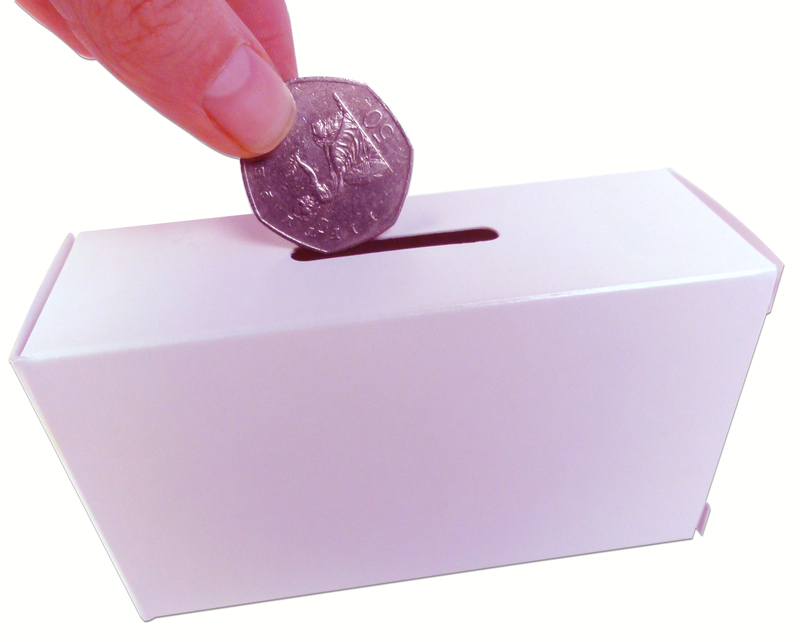 Using these budget-friendly cardboard charity boxes is a simple and effective way to encourage people to give to your chosen charity. Sent out flat they keep postage costs down, easy to assemble they make a simple collection box in seconds once received. By adding the right print design you can really make your charity collection box products stand out from the crowd, and don't forget to include instructions on how to send any money raised back to your charity! Alternatively to keep costs down you can leave the cardboard money boxes blank and perhaps just add your existing charity stickers to show people who they are raising money for. Two main reasons why these self-assembly cardboard money boxes are becoming increasingly popular for charity promotional activities are 1) they are cost-effective and 2) the self assembly nature makes these collection boxes instantly engaging for the recipient. These cardboard charity boxes will not be ignored and will play a major role in your fund-raising pursuits. As well as the traditional rectangular box shape, we also now offer an eye-catching pyramid shaped self-assembly collection box to aid your fundraising efforts. Again, as with all the coin collection boxes, the pyramid shape can be supplied printed or plain depending on your budget.